Sawadee (Welcome) to the Silver Tree Thai Restaurant. We are a family run restaurant serving authentic and fresh Thai food in Barnstaple town centre, close to the Queen’s Theatre. A must try has to be our new Thai Noodle bar offering a delicious, light but filling lunch. Fully licensed, we offer a wide drinks selection, from draught Thai beers, to wine and Spirits to accompany your meal. In addition we offer a Takeaway service, so you may enjoy our delicious food at home too. The Silver Tree Thai Restaurant in Barnstaple has a loyal local following and receives consistently excellent reviews, for it’s tantalising, authentic Thai cuisine, relaxed dining experience and traditional warm Thai welcome. Growing up in Thailand, from an early age Sakrapee loved helping his mum and grandma to cook in their family restaurant. His early passion for cooking grew, as he learnt his trade in the 5 Star kitchens of Dusit Thani, before eventually coming to London in 2001, where he proved his talent in popular restaurants such as Busaba Eathai. With a new family and a desire for a better quality of life, a move to Devon saw the realisation of his childhood dream, his own family restaurant, where he lovingly combines his grandma’s traditional family recipes with modern Thai cooking. My wife and I ate dinner here recently and we were blown away by how good the food was. The seafood was really fresh and the dishes were authentic- not standard anglicised Thai. The chef used to work at Busaba Eathai, and the food is of similar calibre. The atmosphere is nice, and the staff were lovely. Overall, a great little restaurant and well worth a try. Best Pad Thai I’ve had in ages! Dinner for one at the Silver Tree on a Wednesday evening — lovely restaurant, attentive staff, food served promptly. There’s a great range of dishes on the menu but I went for an old favourite, Pad Thai with chicken (also available with prawns). Absolutely delicious! Very happy to recommend to others. Great food, using authentic Thai ingredients and cooked by Thai’s using the best of western equipment. Had a good meal with friends, including my fussy vegetarian buddies. What I like is the way Thai food can be adjusted to suit each person’s palate. We will be returning to the Silver Tree next time we visit Barnstaple. 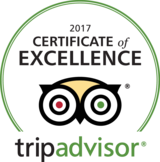 If you would like to experience the Silver Tree Thai Restaurant, we welcome you to contact us by telephone on 01271 322221 or via the form. Please enter your details into the fields provided and we will contact you to assist you with your reservation. We are now open in the back of Silver Tree Thai Restaurant offering the widest range of Asian ingredients in North Devon.